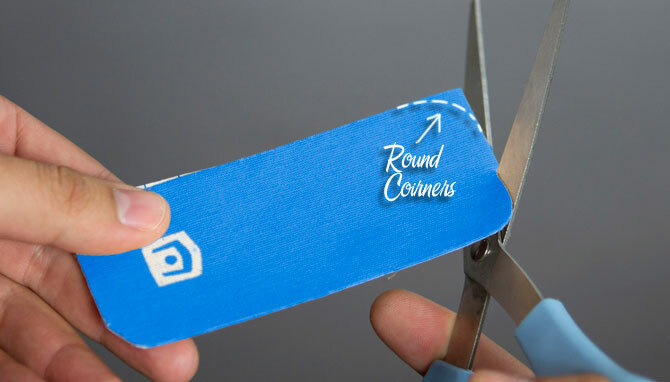 Cut the 1st strip in half with rounded corners. 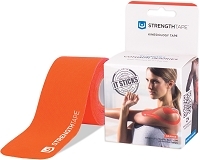 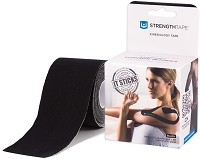 Apply it directly over the wrist with 75% stretch. 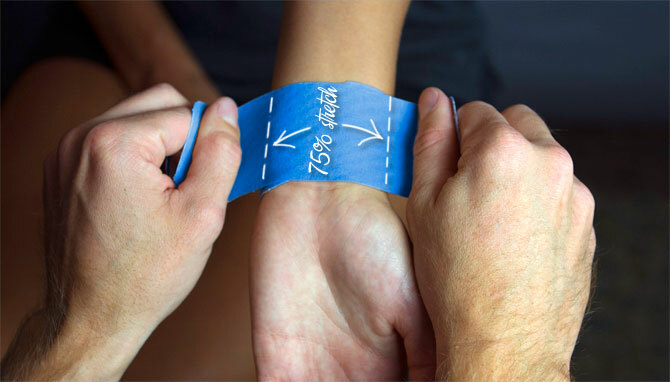 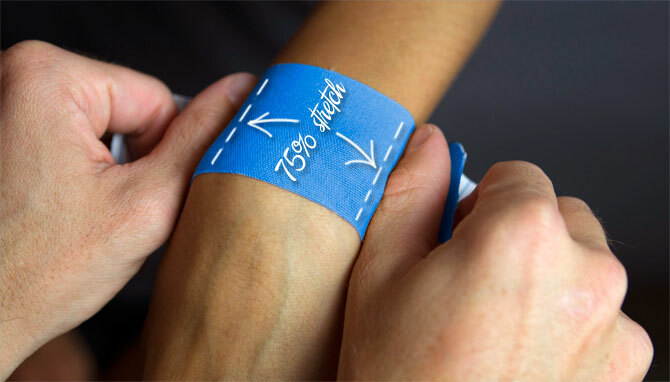 Apply the 2nd half-strip with 75% stretch on the bottom side of the wrist mirroring the first. 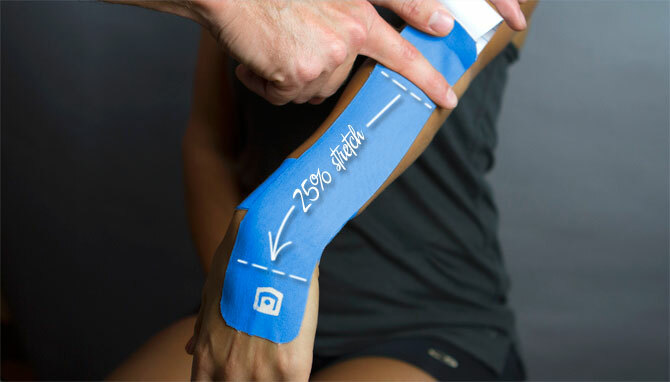 Anchor a full strip on the top of the hand, with the hand bent down, apply the rest of the strip with 25% stretch up the arm with 0% stretch in the last 2 inches for the anchor.